The 785 Series is a limited express type electric multiple unit developed by JR Hokkaido to supplant the 781 Series trains in service along the electrified Sapporo through Asahikawa portion of the Hakodate Main Line. 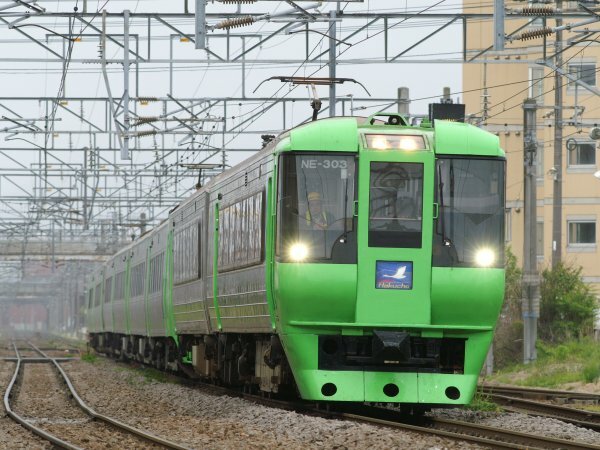 With the extension of highway routes throughout Hokkaido island , JR Hokkaido saw the need to improve the speed of its trains and also increase the number of trains it owned. The 785 Series was developed at this time and came into service in 1990. The 785 Series cars are constructed of stainless steel and the end cars do not have elevate driver's cabs like the previous 781 Series.Trains were originally not capable of regenerative braking, but were given the capability after the introduction of the 500 Numbers middle cars in 2002. 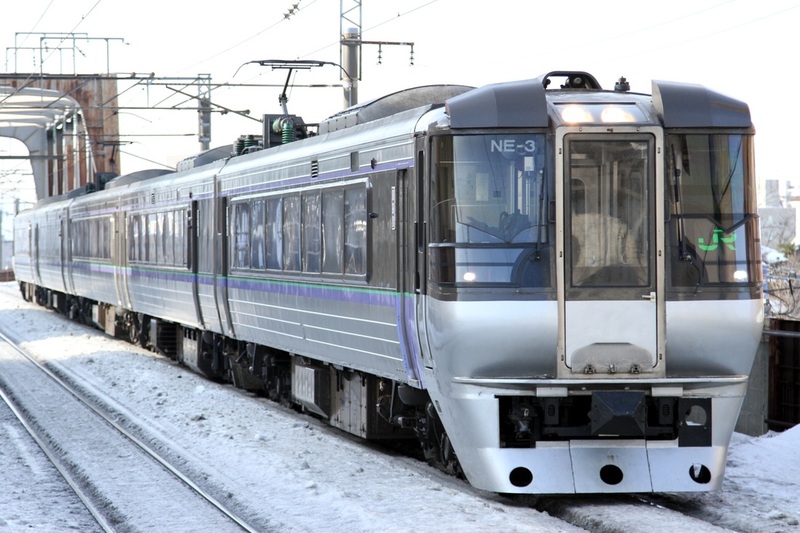 In 2001, JR Hokkaido added devices above the windows and added holes to the front skirts to help keep snow from building up on the front and underside of the train. Trains were operated as four and six car formations, however, in 2002, all formations became five cars. A left-over two car formation was later modified into an add-on formation for 789 Series trains operating through the Seikan Tunnel. These two cars are known as the 300 Numbers and are only operated with 789 Series trains.